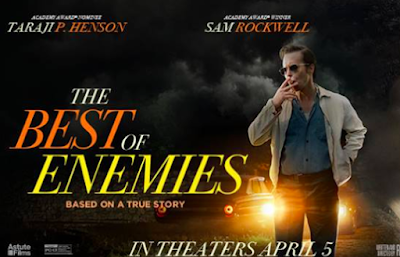 Read Ashley B's review of The Best of Enemies. 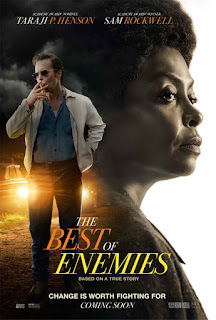 The Best of Enemies is a timely, inspiring drama starring Academy Award® nominee Taraji P. Henson (Hidden Figures) and Academy Award® winner Sam Rockwell (Three Billboards Outside Ebbing, Missouri). Based on a true story, THE BEST OF ENEMIES centers on the extraordinary relationship between Ann Atwater (Henson), a fearless and outspoken civil rights activist who faced off against C.P. Ellis (Rockwell), a local Ku Klux Klan leader, to blaze the way for school desegregation in Durham, North Carolina, in 1971. The Best of Enemies is in theaters on April 6th, 2019. The Best of Enemies is the true story set in 1971 Durham, NC of the unlikely relationship between civil rights leader Ann Atwater and a Ku Klux Klan local president C.P. Ellis. They are both picked to co-chair a committee to decide if desegregation is the solution after a fire at the black school hinders its students from completing the school year. Can this historical movie tell the events in a compelling way? This movie is a historical drama and it shows from the very beginning with the inclusion of an actual initiation into the KKK along with a voiceover from C.P. Ellis talking about his sense of belonging with them. It’s enough to make your skin crawl and it continues from there. Sam Rockwell did a great job portraying the derogatory, cold nature and dialogue of Ellis. Taraji P. Henson was outstanding as Ann Atwater as well. She was determined and strong in standing up against so many of the prominent white leaders and leading the community to using their voices instead resorting to violence. Instead of Henson and Rockwell vying for the attention of the camera, it was a good balance of leading actors that instantly drew me in and kept me interested the entire film. The dialogue really pushes this movie along as well. It shows every type of a view toward desegregation which I think is important to show. It does leave out some of the pieces from the 2002 documentary “An Unlikely Friendship” although it uses several scenes from it. I suggest watching both to get a more in depth view of the story since the Best of Enemies is a significantly watered down version. The incredible performances from the cast make up for the parts lacking in the movie. Historical movies like these are so interesting especially when the events happened less than 50 years ago. 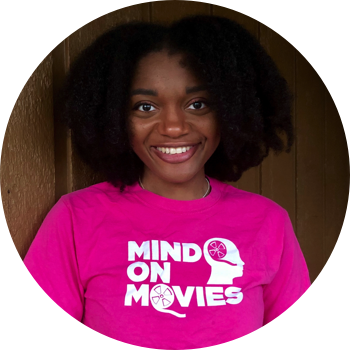 It allows for viewers that lived through it to share their stories and open conversation. This is a movie worth watching and sharing with others about this inspiring story.